I recently traveled to Boulder to visit my sister, and to attend a seminar there with my first Zen teacher from the San Francisco Zen Center, Richard Baker Roshi. 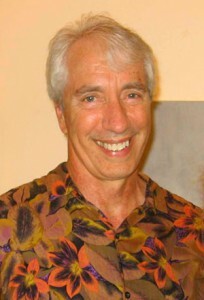 He is the dharma heir of Suzuki Roshi, the most famous Japanese Zen master to live and teach in America, and the author of Zen Mind Beginners Mind. I hadn’t seen him since 1981, and I was really looking forward to seeing how we had both changed in relation to each other over the years. The first thing he mentioned was that he struggles with making the teaching relevant to his audience. He said after 50 years of being a teacher, for him the nature of the process changed over time, but doesn’t go away. I was immediately aware of a tendency in myself to hope that when I’ve been teaching for 25 years, that struggle will be over. I had to laugh at myself, after all that is kind of like hoping that with the all the struggles of parenting my boys up to now, the struggles will be over by the time they actually are full fledged adolescents! The first Zen teacher I read about many years ago, Huang Po, said the ultimate reality is that which is always right before you, in all its fulness, utterly complete. In other words, we always are the full complete expression of the ultimate reality, but we are unaware of this. The unique nature of Japanese Zen teaching is that first timers are directly presented with this teaching the first time they walk through the door. Baker Roshi talked about how during the first 20 years of his teaching he didn’t really explain anything. In essence his teaching was presenting different versions of Huang Po’s statement about the nature of the absolute, and students were left to face that block to recognizing its truth. He mentioned that students were often left feeling like that block was a huge cliff, always rising right before them, that they felt powerless to climb. I realized this was very true in my case when I was young. The cliff has changed over time. In some ways it’s no longer my cliff, but the block to pure awareness that is shared by us all. After 50 years of teaching, Baker Roshi is now facing the same cliff in a different light. Now it is more in the muscle memory of everyone to realize that it is natural to recognize the unchanging nature of the block. We’re learning to respect its power in guiding us to learn to more fully occupy our lives. We can now more easily learn how to gradually allow a deeper absorption into the actual nature of our emotional wounds. We can learn to let our blocks dissolve together as the spirit of our inter being in action. This is the real fuel of our inquiry, this is the real support of the fellowship of sangha. Asking ‘What is this really?’ comes before the enthrallment of recognizing the sense of separation. Then the conditioning of thinking we’re a person leads to the excitement of thinking separation is actually there. The actual practice of contemplative meditation is necessary for almost eyery one, in order to more fully illuminate this process. This is because the mind first needs slow down enough to reveal the embodied experience of ‘What is This?’ coming first, before the attachment to being ‘you’ shows up. Without the idea of ‘me’ the idea of separation can’t arise. So of course deeper than our assumption of the reality of separation, is the assumption of the reality of the separate self. Life is a lot more fun when the attachment to being ‘you’ is seen as irrelevant to our natural joy in just being alive. We begin to embody freedom when there is an allowing of our self conscious attempts to control our aliveness to simply pass by without indulging them. Mine and others’ experience I’ve talked to about this, is that meditation is essential in helping us to feel in our bodies that there is less attachment to ‘me’ in asking ‘What is this really?’, than in exclaiming ‘there is separation happening here.’ Both the asking what is this, and the discovery of separation are saturated with a sense of wonder. This is the blending of the two experiences. The asking of what is this, isn’t preferable to the discovery of separation. They are both equally essential aspects of our ability to live a fully human life. The wonder of asking what is this, is a primal expression of our inner being, of our spirit of inquiry. It drives us deeper into the actuality of here and now, and blends with the discovery of separation by asking ‘what is this discovery of separation? What is this assumption that the objects of our experience are separate from what we imagine ourselves to be? We need to be aware of the assumption of separation before we can actually question it. Most of us go through life with this unconscious of assumption of separation because our conditioning to believe separation is real goes deeper than our awareness of its depths. The aliveness of our wonder of ‘What is This?’ is what drives our inquiry to more deeply question all of our assumptions. The meaning of ‘What is this?’ is ‘WHAT IS THIS?’ When the aliveness of our inquiry is struggling with our demands on the moment of here and now, we are ignoring our attachment to our assumption of separation, and ignoring our attaching to the assumption of a separate self that gives rise to it. Ignorance is our ignoring of the way things actually are. In this context it is our ignoring the universal heart of inquiry wanting to express the freedom of our deep joy of being alive. The universal heart is always expressing itself free of all of suffering born of the ignorance of our imagined separate nature. We can’t taste the sweetness of sugar by reading or hearing about it without actually tasting it. And we can’t fully taste the actual aliveness of spiritual inquiry without realizing it is what we all really want to taste more than anything else. Just honestly ask yourself: Could this aliveness of wanting to know my true self be the most important thing for me? It’s not that hard to realize that we are not our thoughts, or anything else we think we are. The presence witnessing our thoughts right now is much more than our thoughts, including the thoughts we try to define our self with. What is more difficult for almost all of us, is to learn to welcome the fear of this aliveness of wanting to know our real depth, the real truth of our being. This fear is scary because we are deeply conditioned to want liberation from fear to be liberation of the person we think we are. If we’re persistent in our inquiry, we gradually realize that liberation is the actual dissolving of the person we think are. Liberation isn’t liberation of the person. Liberation doesn’t exclude the experience of the person, but it is liberation from the confines of the concept of the personal. The person we think we are is just a concept, our attachment to the concept is resistant to the very end. As our sense of identity shifts from the confines of the person to the vast openness of our actual being, we experience the fear dissolving along with our ideas of who we think we are. We need the support of the sangha to help us persevere and actually feel the loving support of spirit itself as we deepen this identity shift together. What is our role in contributing to the sangha as individuals? Just to be willing to express our longing, including the fear. We all have a very important unique contribution to make in expressing the longing of our collective sangha body. Our willingness to deeply enter the big questions together is our own unique expression, and is a complete full expression of the universal heart of spiritual inquiry. Sangha is a word Buddhists use to refer to the greater community of practicing members. Thay talks about the power of the sangha to absorb all of our suffering, if we are willing to deeply offer it to our partners in the spirit of our inter being. Of course this also refers to the offering of our joy, for our joy and suffering are truly different sides of the same coin. A couple of months ago, I spent a day in Asheville with several good friends whom I feel a deep sense of connection with in our collective spirit of inquiry. As I went to sleep that night, I felt a strong sense of our oneness. It is wonderful that we have this opportunity to practice together, and support each other in following Thay’s practice. I felt a deep appreciation for life always showing us what we need to take the next step on our path to awakening. That night I had a dream that I was in a very large meeting hall with many women. It was quite dark and I didn’t clearly see their faces, I wasn’t aware of any real communication going on in the room. In Jungian terms, this appeared like a pretty standard dream for a male like myself; a former serious athlete who still has a lot of work to do on more fully integrating his feminine side. Applied to the spiritual path, the conditioning of the spiritual athlete drives me to try and soar to the ultimate realms of love and bliss, and to push through any barriers encountered on the way up. A subtle trick I still try to play on myself at times, is to imagine that after 40 some years of practice, I’m now free from being driven by that motivation. My attention in the dream was drawn to a stage in the hall where a woman resembling Anandamayi Ma, whom I wrote about a couple of weeks ago, was standing. She made a gentle sweeping motion with her arm, as if she was tossing a frisbee towards us. A visible wave of energy flew out from her hand that felt like an incredibly powerful force totally obliterating the whole scene. There was a tiny sliver of ego remaining in the darkness. At first I was completely shocked and terrified, trying to brace against the overwhelming intensity of what seemed like the wind of a powerful tornado just blowing everything away. I then bowed in surrender realizing the comical futility of trying to do anything. There was simply no other choice than to stop making an effort to resist a more powerful force than any ego could possibly comprehend, must less affect or in any way control. The spiritual athlete in me realized total defeat, and I was grateful for a powerful reminder that there are no enlightened egos. Our intellectual understanding of this is always partial and paradoxical. One way I attempt to put it into words is to say that this turning is our life. Our life is always an invitation to use this turning to allow the imagined barriers between our fellow sangha members to dissolve, so the currents of the our inner being, our inter being, can more freely flow together and support each other. Sometimes we need a powerful reminder that to deeply open to our wisdom of nothingness, is not an experience of nothing, but a deep feeling of being SO no-thing. Then when we turn to the love of being everything, we are SO everything. Being no-thing is not a lack of, or exclusion of what we describe as experience, it’s not the lack or exclusion of feeling, thinking, hearing, or seeing. It is simply freedom from the confines of the labels we attempt to define our experience with. It’s freedom from the concept of separation. And it is the freedom of the current of our life force to flow unimpeded saturating us as well as the world. As such it is also the freedom to fully embody and share our human experience in its fullness. We realize this is a free gift, when we’re willing to receive the grace of feeling and seeing the falsity of our attachments to our imagined bodily existence. In Zen we say form is emptiness, and emptiness is form. Empty in this context is not like an empty glass, but the fullness of all life, empty of, and free of conceptual thought. Form is full of emptiness, and emptiness is full of form. Form, energy, i.e. our life force, is free of the thinking mind, and all its attempts to label pure awareness. Free of the confines of our thinking, our life is full of the depth of human experience that we learn to share and support each other with as one sangha body. The great Zen master Suzuki once said: “The most important thing is to find out the most important thing. We all have a unique of what that is, and will express it in our own unique way. There is an old saying that helps me express what is most important to me: ‘If we want to realize the true source of our life, don’t dig one hundred one foot holes, but dig one hole, one hundred feet deep.’ Teachers usually refer to this saying to caution students against impulsively jumping from one path and/or teaching to another as a way of avoiding penetrating the spirit of any one particular teaching. This happens when our desires and fears seem too threatening for us to become fully aware of and work through. When they arise, we try to avoid them by withdrawing from the spiritual environment in which they arose. We fool ourselves into thinking that another path or teaching will enable us to advance farther, and we will thereby be able to avoid the pain and effort involved in working through our desires and fears. So when difficulties arise on the path, we are encouraged to stay present to what is happening, and welcome and embrace it all, whether positive or negative. We are taught not to cling to the ever changing flow of our experience, and allow it all to pass away. When we stray, and become excessively attached to our experience, this can be described as our attention wandering from the one deep hole of our presence here and now, and attempting to dig somewhere else. As we pass through life on the way to our true source, what’s important is not what we experience, but how we identify with or cling to our experience. In our contemplative practice, we may experience an expansion of our consciousness, a blissful feeling in the heart rising up with some subtle pressure to the top of our head. We may feel this is a very positive step, that we are reaching a very advanced stage in our practice. A Vipassana, or insight meditation teacher would probably say this is merely blocked energy and not of use to us. We may be instructed to breath with it, and allow it to dissolve back into the ground. In a shakti, or energy oriented system, we would focus on it, allow it to push higher, and work with the energy. Neither of these methods is right or wrong, and it certainly can be productive to embrace both methods at various points in our individual path of practice. It is important to remember that all mystical experiences are meant just for the moment they arise, and then they dissolve, as all experience does. Highly evolved masters tell us self realization itself isn’t an experience, but is realization of the timeless source that makes all experience possible. We may hear that enlightenment is not an experience a countless number of times, but all the mind can do with that is imagine some experience that doesn’t come and go. Both Vipassana and Shakti systems aim at us meditating thoroughly on the absence of what we think is happening, and teach us to not to cling to whatever experience arises. This is digging one deep hole, and merging with the present moment. Whatever system and practices we use in our contemplation, we are always here and now. What is most important is our earnestness, our longing for the truth, the depth of our spiritual inquiry. We need no other guide, but we all need to realize that for ourselves; we won’t believe it just because some famous teacher tells us it’s true. So we dig one deep hole in the present moment, which is one timeless moment. If our spirit of inquiry attempts to take us out of the present, the inquiry is no longer really authentic. We are then stuck in ideas about the past or future. Discovering which practices, or combination of practices work best will naturally evolve the more we allow ourselves to surrender to the here and now. Crucial to this development of what practices we employ, is the continual questioning of who is really digging? Who is really practicing? Suzuki Roshi said that though there is nothing to attain, beginning students need to try very hard to attain something. They need to stretch their arms out very wide and reach for enlightenment. This is also true for more experienced students. We learn the futility of attaching to our self conscious efforts at meditation by trial and error at every stage of our practice. So if we’re struggling with the question of when and how to dig, we can simply ask ourselves, who is really digging? On deeper and deeper levels, we begin to realize that the spirit of inter being does all the digging. We gradually learn to surrender, go along for the ride, and learn to trust that when effort is necessary, it will be there. When effortlessness is truly needed, it will arise. The relative and the absolute, inside and outside, self and other, are reflecting each other and flowing together, if we are willing to observe how things really are. We can’t grasp this intellectually because in trying to grasp, we are just labeling the process we believe to be happening. While we can’t know with the mind that nothing is happening, we can open to the possibility that ‘happening’ is just a label we impute onto the way things actually are. We can realize that what we think is happening doesn’t actually describe or limit the way things are. The paper is not the writing, yet it carries the writing. The ink is not the message, nor is the reader’s mind the message – but they all make the message possible. It is the same with our experience. For example, our experience of seeing things is made up of the seeing, the seer, and the seen. Seeing contains the seer and the seen, none of the three can be found on their own without the other two. They all arise together, and make seeing possible. We can’t find any entity called the seer, because we already are ‘seeing’ itself. When we look for the seer, we only find ideas of what it might be, or what we think we are. But whether we cling to these ideas of seeing, seer, or the seen or not, if we just witness our experience of seeing, there is just seeing. It includes all of our ideas about seeing, seer, and the seen, but can’t be identified by any labels. Seeing itself is free of any labels we impute onto it. The same is true of our hearing, our feeling, and our thinking. Thinking itself is free of the idea of thinking, the experience of thinking is a deep mystery. Not finding any actual entities when we witness our experience is a finding in itself. It is the finding of an aliveness that is not confined, not defined, and not limited in any way. It is pure feeling, sometimes labeled as a current, shakti, divine energy, or bliss. It has no conceptual agenda, it just moves, it just welcomes, it just innocently loves. Thich Nhat Hanh has a saying: “The spirit of inter being is realized when the garbage and the rose both shine with the same light.” This light is within and beyond all appearances. Trusting and surrendering to this light, to the current of this boundless energy, is our willingness to flow with the river of life to the sea of our source. The source is reached in the flowing, the flowing of human experience is the waves on the surface of the sea. By some mysterious transformative process, as we allow ourselves to flow with the current of the waves of our experience, we eventually realize we are the water of the sea itself. As we turn between the no-thingness of being the sea, and the bliss of feeling the movement of the waves, we feel the stability and support of the ocean of consciousness itself. The ocean of awareness is what is always here in its vast boundless support. It is what produces and makes the waves of consciousness possible, as reflections of itself. Many analogies have been made to try and describe the relationship between human beings and our source. One that occurred to me recently is that we can say the life force of the universe is the electricity, and human beings are the light bulbs. The bulbs may be infinitely varied in shape, color, and brightness. The actual power by which they shine, however is the same in all. We tend to get tricked by appearances, and say “What a beautiful person! What lovely hair. See the brightness of her smile! But when the electricity is turned off, where is the color and the brightness of the light bulb? It’s important to not forget the true source of our power that is the same in others, and all that we see around us. This current creates, enlightens, and enlivens everything simultaneously. 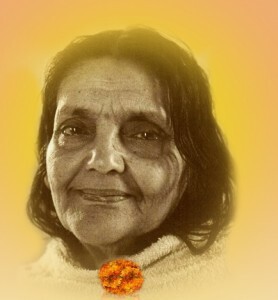 Anandamayi Ma was a Hindu saint, who was considered to be a true incarnation of the Divine Mother. She fully embodied many different characteristics of the divine feminine, different aspects of showering unconditional love on all of creation. Her devotees offered all of their experience to her, realizing that she is everyone’s mother. When she was asked how mankind will progress towards a more perfect and enlightened future, her reply was “But everything is already perfect.” In her world, there simply is only perfection, all the waves on the sea of her awareness shine with the same peaceful loving light. Regardless of however the agonies of human suffering manifest before her vision, she is aware of her divine spirit continually absorbing and transforming it all as a reflection of her motherly love. Her presence simply is love. Her most amazing characteristic was how her mere presence served as a very powerful inspiration to develop or deepen the desire to follow the spiritual path.